The Benefits of A Pressure Washing Maintenance Plan With U.P.C. Never want to have to pressure clean your roof again? Looking for a quick and easy roof cleaning that is plant-safe and gentle on your roof tiles? 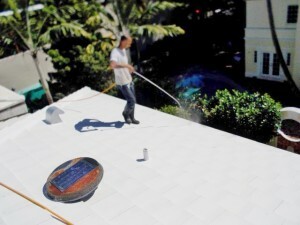 Wish your roof would always looks as clean as the day of its first pressure washing? 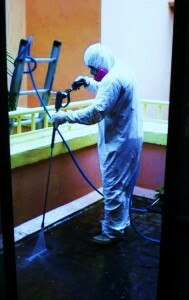 Tired of planning and scheduling the next pressure washing for your Miami home? 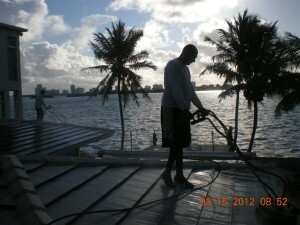 Look no further than Ultra Pressure Cleaning of Miami. We offer extensive, proven maintenance plans to keep your exterior surfaces pristine. Click on the links below to learn more about the different maintenance plans offered by Ultra Pressure Cleaning in Miami and call us today to get a quote! Our scheduled exterior home maintenance services will reliably and expertly keep your home clean! "I am proud to say that we have clients that call us back every six months or every year for the last 8 years because they know their patio, driveway or roof will be cleaned professionally, safely and that I will make sure of it. Many of them after one or two times having our service tell me to simply put them on a schedule and come back when the calendar tells me it's time. What can I say? They can really count on us and trust us with their homes. I am proud of our reputation"
Maintain the clean and bright look of your roof all year ‘round! And never have to pressure clean your roof again! After the initial pressure cleaning an anti-mold solution will be applied to your entire roof at 3 or 4 months intervals. 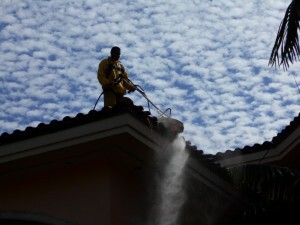 Your roof will stay clean and fresh looking every month. 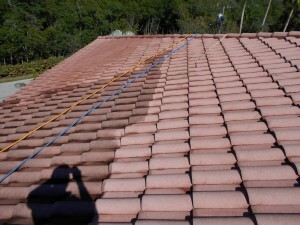 No need to watch as your roof goes from clean to gradually turning black. We keep track of your schedule and notify you a week before we arrive! All you have to do is to enjoy the results! 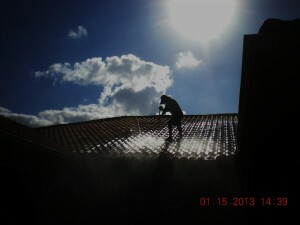 Please note; the above maintenance plan requires that your roof initially be cleaned. So, let me review the importance of cleaning your roof in the first place. There are many good reasons to clean your tile roof and, briefly, here are the 3 most important and relevant. It keeps your home looking fresh and well kept. Mold (a type of black fungus) and algae not only make the roof look dirty and unkempt but did you know that often times the main cause of a moldy patio, driveway or even your walls are from the runoff of spores when it rains? Cleaning your roof makes your home more energy efficient. The same principle that makes a black or dark colored car get so hot inside under the midday sun applies to your dirty roof. It has been estimated that a 2,000sq. ft. house with a mold blackened roof cost the homeowner an extra $300 a year (about $25/month) in additional cost to cool your home. This 2-part program addresses tile roofing, wall and ground surfaces, as well as wood decking. Gently pressure clean the concrete patio areas with clear water only to be as landscape friendly as possible! Each trimester (every 4 months) we return to your residence and spray the roof down with our mold retardant, preventive solution. This maintenance plan works to kill the earliest stages of mold/mildew and algae growth thereby always keeping your roof bright and mold free!